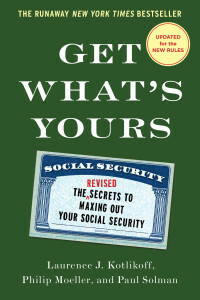 As you probably know, new Social Security laws were passed last fall that will make major changes to your claiming options. In brief, anyone who will have turned 66 on or before April 29 will still have the option to file and suspend by that date. Anyone who hasn’t done so will no longer have this option. Further, anyone who was 62 or older as of January 2 of this year will be grandfathered under the new rules and will continue to have the right to file a restricted application at their full retirement age for just their spousal benefit (assuming their spousal has already filed for retirement) while letting their own retirement benefit increase. Younger people are out of luck and will no longer be able to claim one benefit while letting another benefit increase until they claim it later. There are other important changes to the law that my co-author Larry Kotlikoff and I have written about at great length. Check out Larry’s pieces at PBS and mine at Money magazine. This book, which you now can order, contains details on these new laws plus clear explanations for how the changes may affect your claiming decisions. We also will continue to update new developments that may affect you at our book’s website. I hope you will consider getting this revised edition and also recommend it to friends and family members. There may be good reasons for these Social Security changes but they were never explained or even mentioned before the new laws were passed. In fact, there was no public discussion of these changes at all before they appeared in a hastily crafted bill that had no publicly identified congressional sponsors. This is a bad way to do the public’s business. 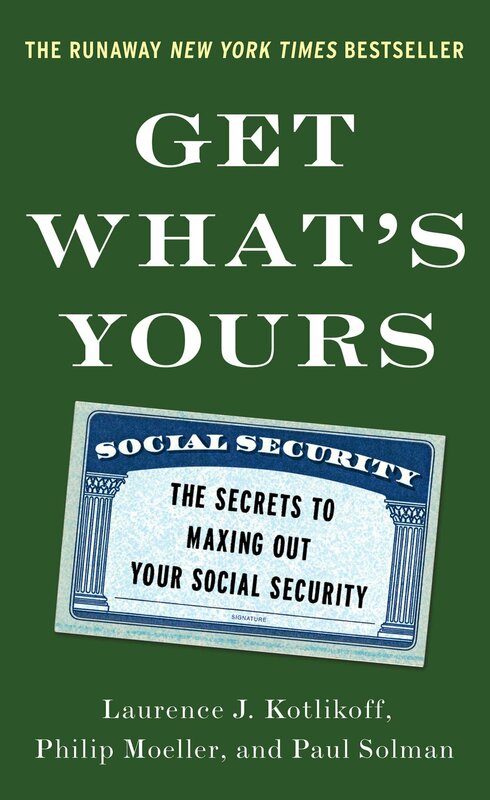 Our response is to make sure you continue to have the latest and most accurate information on how to get the most out of the Social Security benefits you have paid for and earned. Ha ha Lois, what’s not fair is your Congressman changing the law without debating it, without an identified sponsor, without the awareness of the public. This occurred after many years of public debate in which it became clear that the public cared tremendously about this issue, so Congress decided to do it secretly to avoid criticism. Turning 62 in June 2016. I hopscotched my way through this book, skipping chapters on disability, divorce, gay couples, and widowhood. Unfortunately the book, although it was written in 2015, is obsolete. The authors favorite strategy, a loophole called ‘file and suspend’ has been closed.